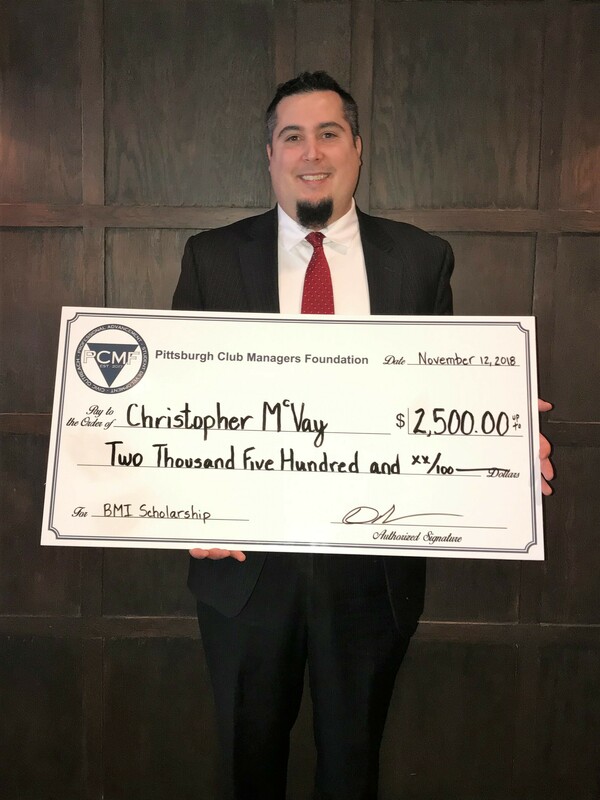 November 2018 was a major milestone as the PCMF awarded its first scholarships at the Pittsburgh Chapter CMAA's Annual Meeting! 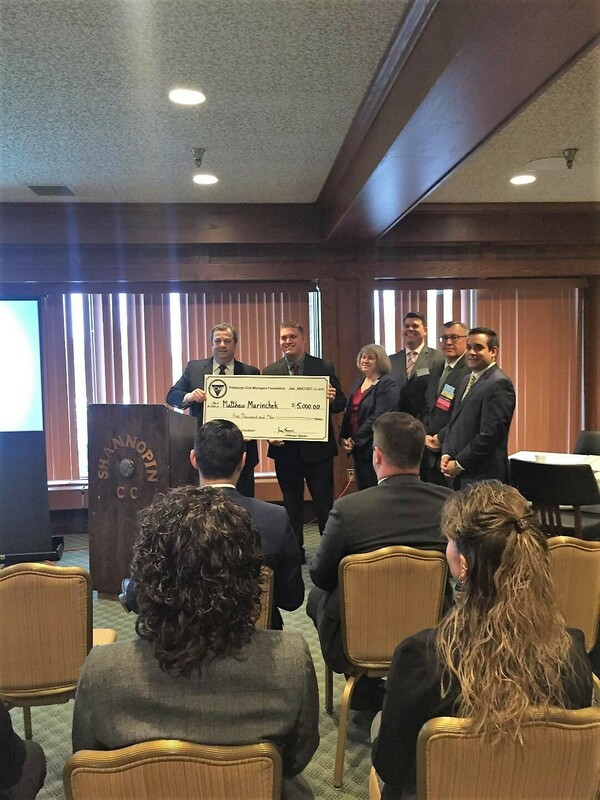 The Board of Directors excitedly looks forward to awarding a greater number of scholarships next year as funding evolves and awareness of scholarship offerings grow. Available to all Pittsburgh Chapter CMAA members for any CMAA Business Management Institute (BMI) course applicable towards the attainment of the Certified Club Manager (CCM) or Certified Chief Executive (CCE) accreditation. 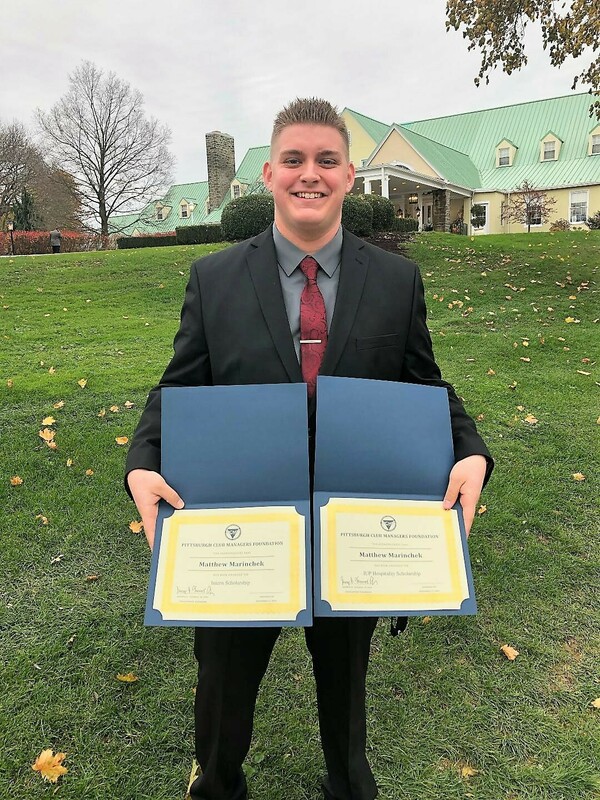 Available to any Indiana University of PA or Robert Morris University Student Chapter member enrolled full-time in a Hospitality Management program. Additional requirements are listed in the application. Available to any student-intern or current employee of a Pittsburgh Chapter CMAA member club. The applicant must be enrolled in a 2 or 4-year accredited college or vocational school's hospitality program for the upcoming year.